Bon Soirée is enjoying one of its busiest summers ever. A steady flow of business with clients including VistaJet and NetJets flying out of London airports, has prompted the inflight business aviation caterer to order three new Citroen Berlingo refrigerated vans, which will arrive in September. Director Derek Freeman is taking on five more staff to handle demand. TAG Farnborough Airport is now the business' number one airport for airside deliveries, closely followed by London Luton Airport (mainly Signature's London Luton FBO) and RAF Northolt. The stepped-up activity reflects Bon Soirée's introduction this spring of a wider ranging menu, available for flight departments and charter brokers to book online and via App (downloadable from the App store). It features healthy and varied food that takes passengers from dawn to dusk. Bon Soirée's flexibility in handling special dietary requirements has helped to bolster bookings. "Without doubt, this has been the biggest shift in our business this past 12 months. The number of special requests we get these days - gluten-free, non-dairy, vegan, diabetic, no wheat," has increased ten-fold," notes Derek Freeman. 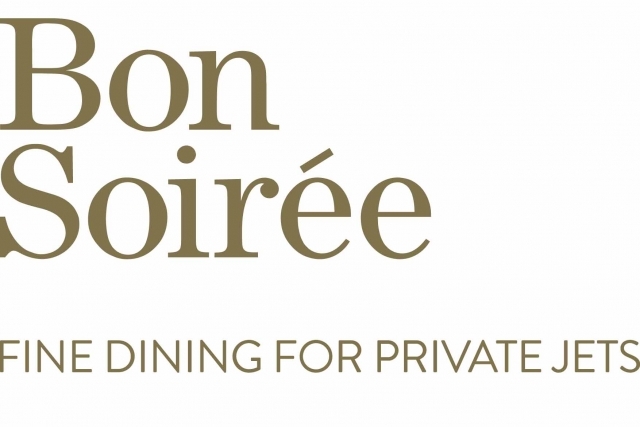 Working together with consultant chef Alan Bird, formerly with The Ivy and Soho House, Bon Soirée now offers a unique labelling system on its mainstay dishes. Alongside clear cooking instructions for flight attendants are colour photos detailing the presentation of each dish, while pictures of 14 different allergens are marked up with a tick. Derek and Bon Soirée head chef Alan Bell are looking forward to attending EBAA's fourth annual Cabin Service Conference during 27th-28th September in Brussels. 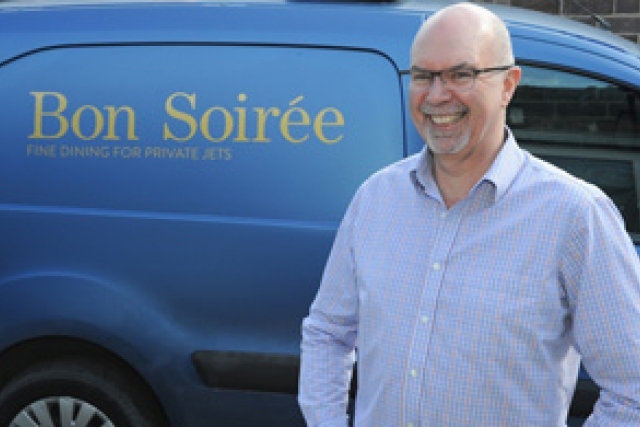 Bon Soirée, based in Northchurch, Berkhamsted, has been providing fine dining catering for leading business aircraft operators in Europe and the Middle East for the last 21 years. The company was founded by Derek Freeman, who started his career at Michelin star dining restaurants and hotels in France, Switzerland and Bermuda before moving to luxury yachts working with affluent clients like the Getty family. The business includes a 'fine dining at home' offering and a popular artisan café, its front of house premises in Northchurch. Bon Soirée also sources from London's Michelin restaurants, including Nobu, Tamarind and Novikov in Mayfair should there be a specific client preference.